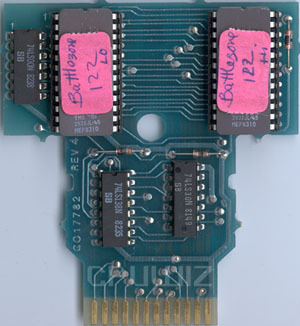 This prototype is only slightly different from the final release. 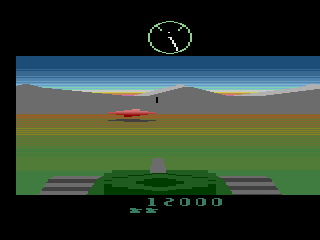 It appears that some of the bugs needed to be worked out of the radar and shooting algorithms. 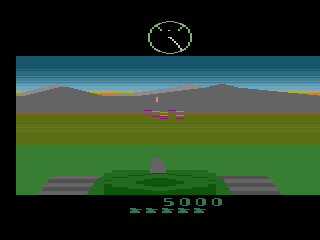 The enemy tanks appear to start very far away from your tank, as the player must drive forward for a few seconds to even begin to see them on the radar. 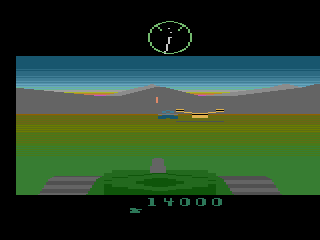 In the final version, enemy tanks are visible on the radar right away. The shooting is very strange. Your bullets appear to move much slower and stay on the screen much longer. 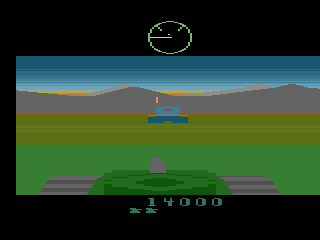 Your tank's color is a bit lighter. This makes it harder to see against the background. The sunset is slightly different (this is hard to see).